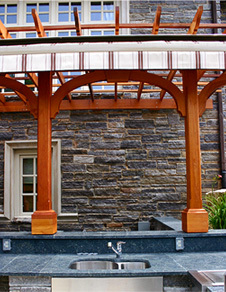 This pergola served two functions. Attached to the house, the pergola obstructed the view of several air conditioning units from above. 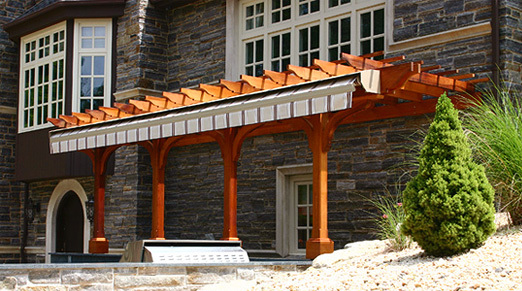 Additionally, a large rollout canopy was attached to the pergola to protect the outdoor kitchen area from the sun. The main beam was specifically designed to carry the weight and stress of the sun canopy. 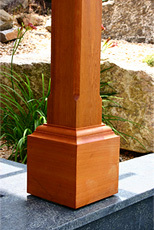 This pergola is stained a lovely cedar color.